Today’s PSD Download is a shining metal electronic stopwatch in Photoshop PSD format. 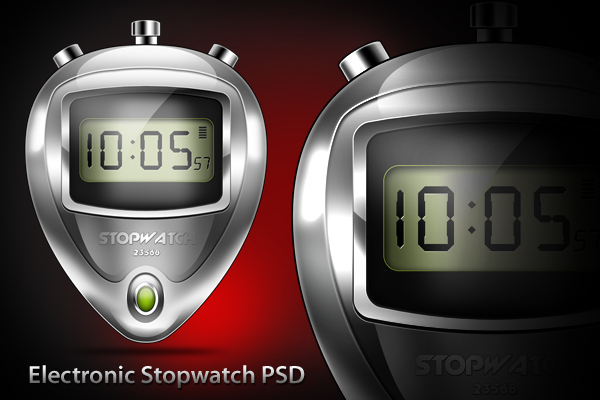 The stopwatch graphic comes in fully layered PSD format. The graphic also comes in PNG format in sizes 256×256, 128×128, 64×64, 32×32 pixels for use in web projects. Download the stopwatch PSD graphic and icons and let me know your thought.